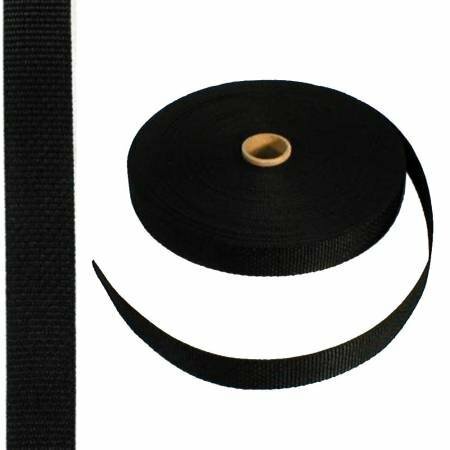 Black 1" Polypro Webbing, PPW1-BLK, Poly Propylene webbing great for handles and other strapping needs. 1 inch wide. Great for use with parachute clips. Sold by the yard.